Are you one of the many men and women who have had a tooth extraction in Ladera Ranch? If that tooth has been bothering you, then it may have been a relief to have it removed. Unless, of course, the tooth was in the front of your mouth and now a hole shows every time you smile. Ignoring can be impossible because your tongue just can’t leave it alone. Once a tooth has been pulled, you have many essential decisions to make. Is a dental bridge reasonably priced? Do I want to damage two healthy teeth to anchor the bridge? Should I pick a partial denture? What about bone loss? What if you could have a fresh start? What if you could have a permanent, natural-looking tooth replacement that would restore your smile and retain the healthy bone and gum tissue around the tooth root? If you decide on a dental implant after a tooth extraction in Ladera Ranch, you can restore your smile to its original beauty. The titanium post is inserted directly into the jaw bone because it’s very strong and it bonds directly with living bone tissue. The abutment can be made of gold, porcelain or titanium. It is permanently attached to the post and it will not slide around. The Restoration Crown is made to match the color of the surrounding teeth. It is usually made of porcelain fused to a metal allow called PFM. A porcelain crown will look just as good or better than the tooth it replaced. Dental implant surgery is not an experimental treatment. The cutting-edge materials and techniques have been tested and refined for several decades. In addition, it has been performed by Ladera Ranch dentists and prosthodontists for over twenty-five years. 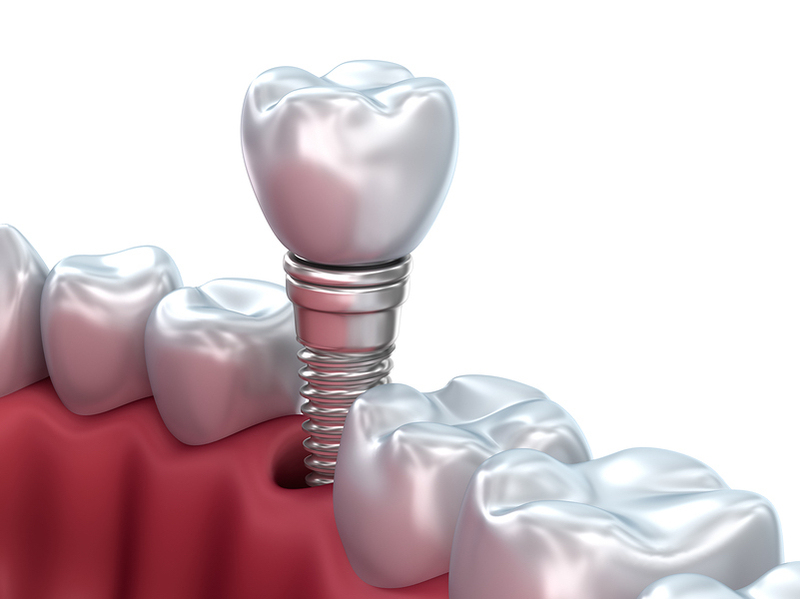 To schedule a dental implant consultation, call 949-429-0049. If you think you might need a tooth extraction immediately, ask us about emergency dentistry.